Santa’s little helpers - Crossrail . For information about the Elizabeth line please visit the Transport for London website. Apprentice carpenters from John Sisk & Son Ltd have been perfecting their skills by crafting wooden toys for St Dunstan church’s nursery in Stepney Green. 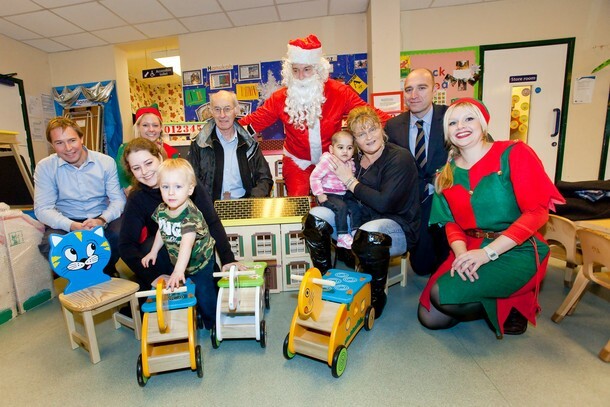 The toys were donated to the nursery at Christmas. John Sisk & Son forms part of Dragados Sisk JV which is building the Crossrail tunnels from Victoria Dock portal to Farringdon, and Stepney Green Junction to Pudding Mill Lane.